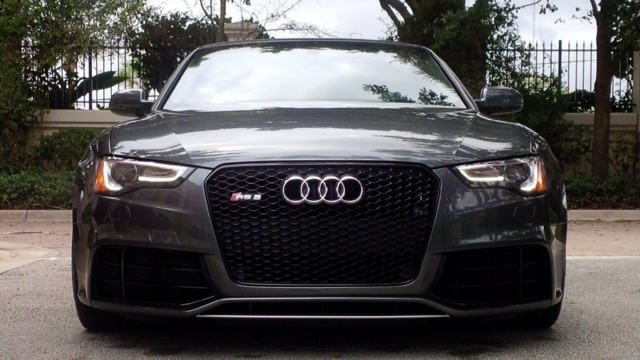 Our family loves German vehicles and these pictures are just further proof of the oustanding engineering from Audi. 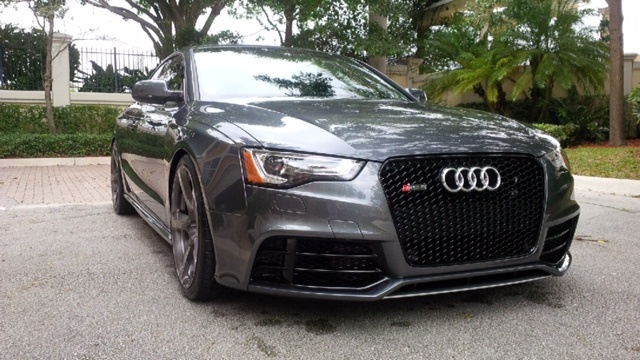 Our cousin lives in Florida and was kind enough to share a few photos of his Audi RS5. 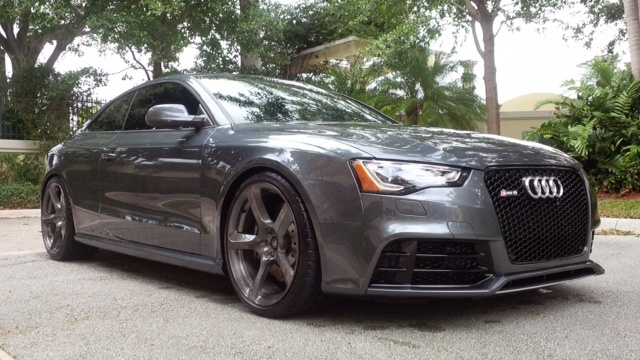 This beauty has been modified with Vorsteoner VS-180s, 20×10 et 25 all around in a brushed shadow finish. Millitek Cat Back Resonated Exhaust, KW H.A.S. and front upper control arms and sits on Michelin Pilot Super Sports P275/30/20. 20% 3M tint all around. Enjoy !! !